So how is your Demand Factory doing? Wheels turning? Robots functioning? Even if some areas are still under construction, you should be phasing in pieces of the factory as you go. The experience of seeing some results — in feedback directly from the sales staff, by an increased lead-to-close velocity, or simply in more closed/won deals — will motivate everybody. Because that’s the point of the Demand Factory, and of Marketing for that matter: help close more deals and faster! 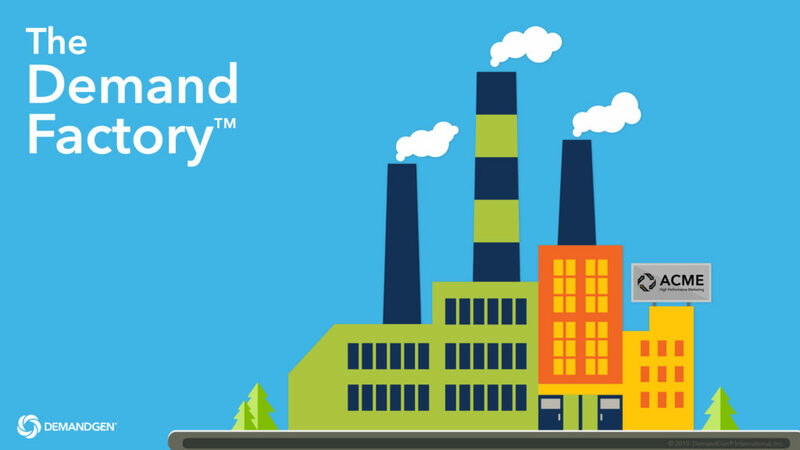 As an Account Director here at DemandGen for the past five years, I love when a client comes to us for help drawing a Roadmap for building the Demand Factory. 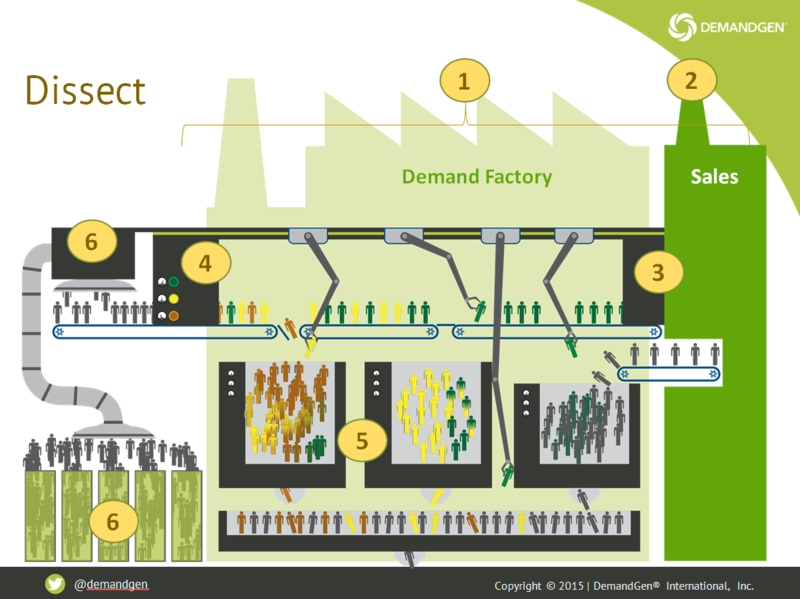 There really is an ideal order of operations to building this factory, but since every client’s factory is different — company-specific processes and systems, less or more technological experience, high or low level of marketing sophistication — it’s my job to help plan the building of each client’s Demand Factory in a way that gets it done successfully, over time, while still making a measurable incremental impact. I’ve been a Project Manager all of my professional life. So, “let’s approach this in phases” comes out of my mouth all the time! After every phase, we need to evaluate performance, as well as to “proceduralize” whatever you build with tools and process. Our Roadmap is first a plan of what to cover: a combination of knowing what you have, what you need, what you would like to do, and our recommendations for it all. Then the phases of the timeline come in. Lead Management Framework – Define every single step in the workflow of a lead, align it to funnel stages, who owns it, what is the definition, document it all, and flowchart it so that it is clear. Then build your systems and processes to align to that. Reporting KPIs – What are you going to want to report on? Define the metrics, and plan on a crawl/walk/run approach, setting up the data and system structure as you go. There I go again referencing phases! Even in the ideal order, we do this step in phases. 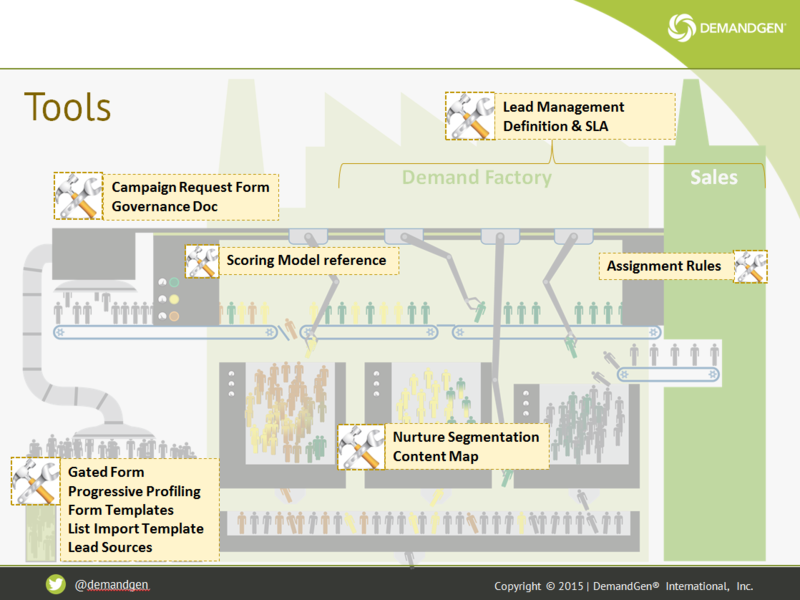 CRM Integration – In step 1 we defined the lead flow; in step 2 we defined what we want to report on. Now we need to connect the Marketing and Sales systems so those things can be accomplished. The integration also allows Sales to have insight into what leads are doing – what websites and content are they interacting with, are they attending demos and tradeshows. Lead Scoring – Lead Scoring has two primary functions. First, it helps prioritize leads for Sales based on an agreed definition of an MQL. It is also a “hub” in the Demand Factory: passing the leads over to Sales when ready (MQL) or moving them in and out of the right nurtures. Lead Nurturing – You’ve established your funnel stages, you’ve integrated with your CRM so that the Marketing platform will know when Sales is working a lead, and you’ve set up scoring which aligns to funnel stages. Assuming you have content, you’re ready to set up nurtures: funnel stage nurtures, to be specific. Data Capture Strategy & Normalization – Data quality is key to this whole process, especially to Reporting. It’s also very important in giving the lead you’re after a good experience. Standardized forms, progressive profiling, data appending, and look-up normalization programs are all examples of ways to ensure good data quality and a good end user experience. Again, in this perfect world, I like to dissect the Demand Factory into sections, layering in the tools as we go. Then we make sure there is time to evaluate, and of course to allow day-to-day campaign planning and execution to go on! Here’s a rough illustration of how we might go about doing that. Let’s face it: we don’t live in that perfect world. The reality is we need to be nurturing right away! So, let’s face Lead Scoring using Activity filters, and build a Suspect and Active nurture to start. Let’s also face this: you may not have all the content you need to align four touches to every stage of the funnel for every persona. OK, but let’s build at least two touches! Notice I said both funnel and persona. . .what if you don’t have either defined yet? It’s still OK. We can stick with the Lead Management Framework as our first step, and have a persona strategy session in parallel. What if. . . your Scoring program is heavy in qualification (demographic) data, but the data is dirty and inconsistent? Scoring won’t be very accurate. No problem; let’s move #6 up; we’ll work first to improve the quality of the data coming in and cleanse what is already there. What if . . .you’re not actually collecting all the qualification data that is desired for the perfect MQL? No problem: let’s just start with one dimension, like an interest-only model. Leads are showing you their level of activity without you even having to do anything, so that’s an easy start. And it can be your feeder into the Suspect (little/no activity) and Active nurture tracks. What if . . .you’re not ready to bring Sales into the Lead Scoring conversation? Maybe you want to prove to yourself that Marketing can help qualify Sales’ leads better, before you tell them we can! Again, an interest-only model comes to mind. Or, run a pilot program. What if. . .you have a CRM integration already, and just want an audit on how it works – see if it’s up to best practice. Perfect! In fact, let’s do that sooner rather than later. Having the two systems in sync is one of the overarching goals here, especially for a reporting purpose. I could never list all the reasons you might want or need to modify this order of operations; they’re endless. That’s where DemandGen comes in. We’ll listen to your needs, make recommendations, and come up with the perfect roadmap and timeline to put your Demand Factory to work. Angela Najab is an expert in project and account management, and specializes in managing the needs of enterprise accounts for DemandGen. Angela’s ability to build process, manage people, and translate and organize requirements globally has inspired her strong focus on marketing automation enablement. She supports clients with multiple projects per quarter, ranging from lead nurturing and lead management to progressive profiling and CRM integration.